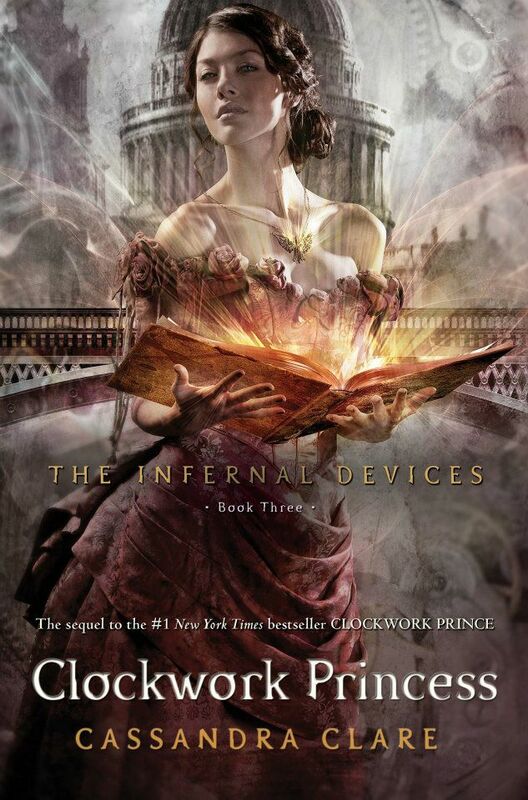 The Infernal Devices series | What YA Reading? When 16-year-old Tessa Gray crosses the ocean to find her brother, her destination is England, the time is the reign of Queen Victoria, and something terrifying is waiting for her in London’s Downworld,where vampires, warlocks and other supernatural folk stalk the gaslit streets. Only the Shadowhunters, warriors dedicated to ridding the world of demons, keep order amidst the chaos. Kidnapped by the mysterious Dark Sisters, members of a secret organization called The Pandemonium Club, Tessa soon learns that she herself is a Downworlder with a rare ability: the power to transform, at will, into another person. What’s more, the Magister, the shadowy figure who runs the Club, will stop at nothing to claim Tessa’s power for his own. Friendless and hunted, Tessa takes refuge with the Shadowhunters of the London Institute, who swear to find her brother if she will use her power to help them. She soon finds herself fascinated by — and torn between — two best friends: James, whose fragile beauty hides a deadly secret, and blue-eyed Will, whose caustic wit and volatile moods keep everyone in his life at arm’s length . . . everyone, that is, but Tessa. As their search draws them deep into the heart of an arcane plot that threatens to destroy the Shadowhunters, Tessa realizes that she may need to choose between saving her brother and helping her new friends save the world… and that love may be the most dangerous magic of all. I’m not going to compare The Infernal Devices to The Mortal Instruments. I’d really rather review this series independently instead of stacking it up against another, and honestly it’s been way too long since I reread City of Bones anyway (watching the movie, although satisfactory and highly diverting in its own way, sadly doesn’t count). Yes, the YA community has been ablaze with various grievances par rapport à the books’ similarities since Clockwork Angel was first published in 2010, but frankly I can’t find it in myself to be bothered. Because the truth is that Cassandra Clare gave me exactly what I was craving, and it was delectable. In all honesty, I wasn’t looking for authenticity when I zealously downloaded these books onto my Kindle. What I needed was escape. I needed to embark on a ragingly wild ride comprised of action, witticisms, and reckless abandon. I needed a page-turner, and I needed it stat. In such dire circumstances, who better to turn to than Cassandra Clare, who has found her trademark writing avenue and stuck to it like fangirls to Will Herondale? And by jove, did she deliver. I read this series in a matter of days and loved every moment of it. Its biggest failing? It ended. And oh, what an ending! Regardless of the infamous gripe that The Infernal Devices and The Mortal Instruments display a disproportionate amount of synonymies– re. characters or otherwise– I don’t think anyone can claim that this series’ ending wasn’t ludicrously creative. In one word, it was bittersweet. But for some reason I also felt like it was cheating? Notwithstanding, I was ridiculously happy at the resolution. Whoever says you can’t have your cake and eat it too has clearly not met Tessa Gray. The Infernal Devices‘ strongest suit, by far, is its characters. Love them, hate them– it doesn’t matter. You’re all chummy regardless. Over the course of the series, it’s nearly impossible to not come to care for each and every last one. And the characters’ relationships with one another? Priceless. Not only was the love triangle– albeit typical, but again this is Cassandra Clare– achingly realistic, but their friendships were engaging and altogether charming. I, for one, was positively enamoured with Jem’s and Will’s solidarity. Three cheers for strong and healthy relationships between characters who aren’t potential love interests! They anchor one another, and it’ s beautiful. And between them and Tessa, I can’t get over the way these characters are woven together. They just fit, and it’s both uncanny and heartrendingly real. I don’t feel the need to make a lengthy commentary on the world building. The Shadow World, of course, is well described, but we knew that already. It’s the whole London in the late nineteenth century part that’s novel. Being nowhere near knowledgeable on the subject, I can safely say that I quite enjoyed it. Tessa’s love affair with books, of which I have read a grand total of two, was particularly amusing. Also, I now want to go to Whales. Note to self: stop spending money on ridiculously-priced beverages and start saving for rolling green hills and dapper Welsh accents. Just a reminder: you do not need to read The Mortal Instruments before delving into this series. If you want to, go for it. However I would recommend sticking to the original trilogy. Everything just sort of goes downhill from there until you want to pitch the books across the room or light them on (Heavenly) fire. This is not the series for you if you’re feeling analytical, judicious, or mildly peevish. However if you need to stop thinking for a while and start flipping pages, by all means read on. 4.9/5 stars. 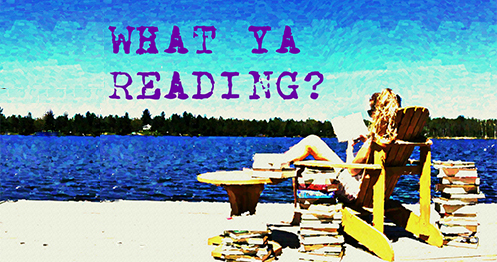 Pingback: Lady Midnight | What YA Reading?